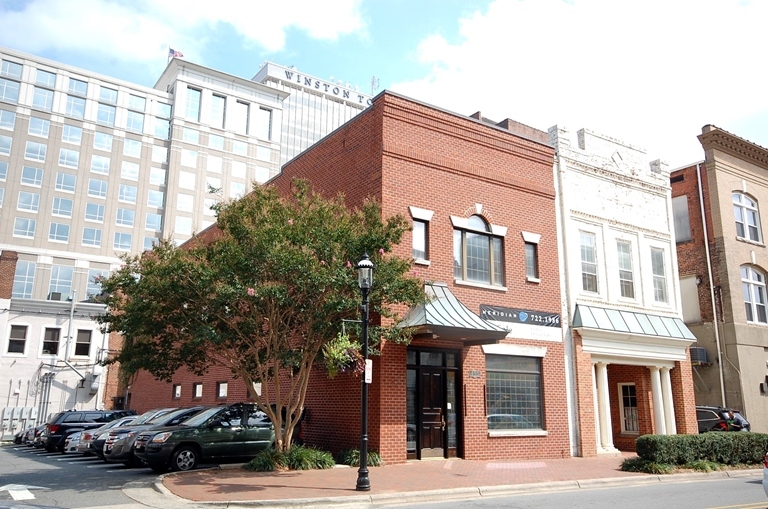 3,912+/- sf two-story brick building located in the heart of downtown Winston-Salem and a stone’s throw from DADA (Downtown Arts District Association). Conveniently located to shops, restaurants, and entertainment. Great opportunity for office space, retail, or mixed use. Sales price of $415,000. From 4th Street, turn left on Trade Street. Building is on the right.